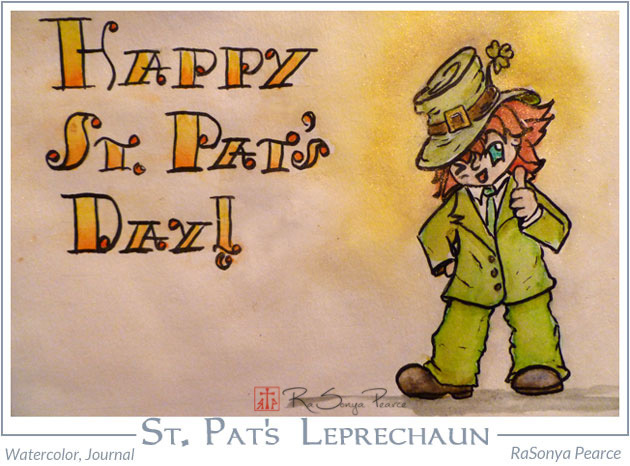 Happy St. Pat’s Day! 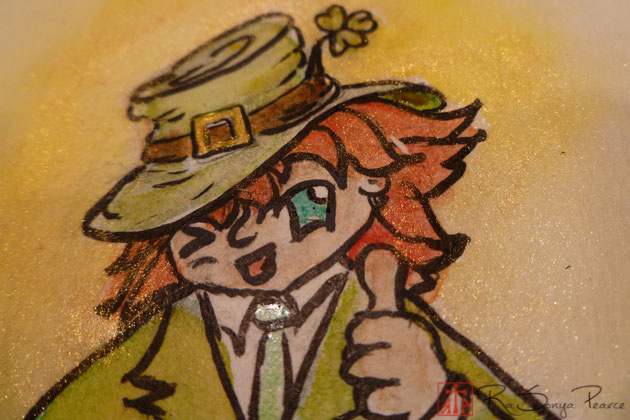 To celebrate the great, green day, I have a wee chibi leprechaun. St. Pat’s Day always reminds me of my time at the University of Mo. at Rolla. St. Pat’s was always a really big holiday there and things got pretty wild. For months before the holiday the frat guys would be carving elaborate cudgels to compete with other houses. During St. Pat’s week, the frat boys would throw fake snakes onto the central green of campus and the guys would pound them with their cudgels tearing up the lawn. During St. Pat’s, Rolla would turn into a sea of green. Green was everywhere! 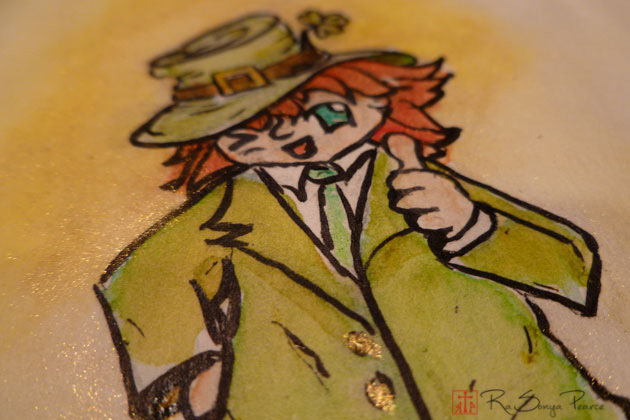 Rolla would throw a St. Patrick’s Day Parade and paint the street the parade was on green. Before St. Pat’s, the board reps would be selling St. Pat’s green sweats at the Puck on campus and when the holiday rolled around we were all decked out in our St. Pat’s green. Everyone, everywhere was drinking green beer. Some folks even dyed their hair green, now that is commitment! Our son graduated from Rolla! We’re well aware of the St. Pats traditions. Our son was a little put off my all the drunks of the holiday so he and some friends usually spent time hiking and biking in that beautiful time of year in the Ozarks. 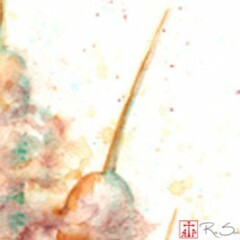 Love your sketch. Unfortunately, the drunks and their behavior do take some of the fun away from St.Pat’s at Rolla. Still, it was neat to see a whole community organise and celebrate together. P.S. I guess I should have put in a disclaimer somewhere in my post about St.Pat’s explaining that I am one of those people who not only have the gene to be a ‘super taster’ but that it also works on my sense of smell. So no nasty smelling green beer for me during Rolla’s St Patty’s celebration, although I do down a few too many green shakes from McDonalds while they are available, LOL!!! !